While most people thinking of a trip to Menorca tend to think of it as a beach destination, what many don’t realise is that the island has a whole lot of rugged inland countryside just waiting to be explored. There are plenty of ways you can choose to get around the countryside and see some of the unusual plants and animal life, including a number of protected species unique to the island, during your stay. Lots of people who visit the island enjoy walks through the countryside, while horse riding tours are also popular amongst those who enjoy equestrian pursuits. One of the more unusual ways to get off the beaten track and experience some more remote parts of the island’s hidden attractions is on a jeep safari. These trips take in a number of great sights and views that make for a very unusual excursion. One of the benefits of taking a jeep safari tour around the island is the opportunity to see some things that you are very unlikely to discover on your own or as part of an organised tour of any other nature. The off-road vehicles give access to parts of the island otherwise rendered inaccessible by the terrain or the sheer distance one would have to trek to get there. The island of Menorca has a wide variety of terrain from pastures and fast-flowing rivers to cliff-tops and isolated beaches. Most jeep safaris, particularly those catering for smaller groups, allow you to customise your trip to take in the views that are most appealing to you. Whether you’d prefer to watch the sun set from a cliff-top or go bouncing across the rugged fields in the dust, your trip can be tailored to suit your preferences. Menorca has historically been something of a cultural melting pot. Its position in the Mediterranean means that it’s seen influences land on the shores from mainland Europe, North Africa and the Greek Islands throughout its history, many of which have left their mark on the island. There are some amazing historic sites that can best be visited on a jeep safari, getting you right up close to the scenes of some very ancient history. 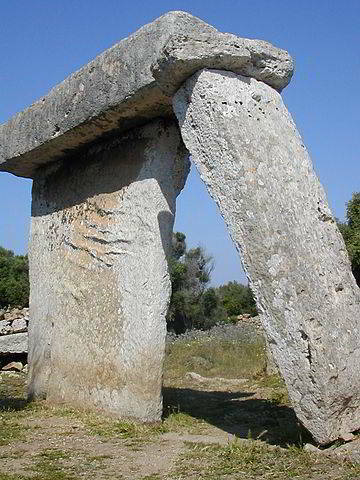 A number of pre-historic sites are dotted across the island and have ruins and monuments dating back to the late Bronze Age period between 2300BC and 123BC. Way off the beaten track, it’s possible to enjoy these sites in peace and tranquillity with sheep and cattle grazing on the grass in and around some imposing Talayotic monuments. 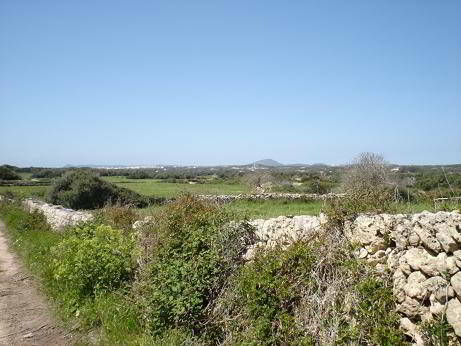 While the main cities and resort towns on the island have plenty to offer in terms of cuisine and culture, one of the benefits of going off-road is getting to experience some of the more remote settlements on the island and experience a version of Menorcan life that has almost been forgotten. From pastoral farms to salt farms, the island has a number of cottage industries that provide a different perspective of life on Menorca. Some of these small businesses also offer hospitality to passing jeep tourists and can give a better picture of what life was and is like for those who aren’t directly involved in providing services for visiting tourists. The food you’ll find away from the main tourist trail will also be a bit different to that you’ll find in restaurants and bars near the coast. Take advantage of the chance to eat some truly authentic Menorcan fare and enjoy the scenery while you’re dining. Taking a jeep safari around Menorca gives the chance to see a completely different side to the island. With the chance to tailor your trip to take in the sights more relevant to your interests, you’ll get the chance to get a completely different experience and learn more about the true Menorca.